Øysand is a Norwegian village on a narrow bit of land at the place where the Gaula River enters the Gauolsen, part of the Trondheim Fjord. It’s about 10 miles to the south of Trondheim. With deep fjords cutting in-land from the coast providing safe harbour the area around Trondheim was recognized by the Germans before the war as being strategically important, and with this in mind Øysand was chosen as the site of an airfield, prisoner of war camp and then post-war a German town. 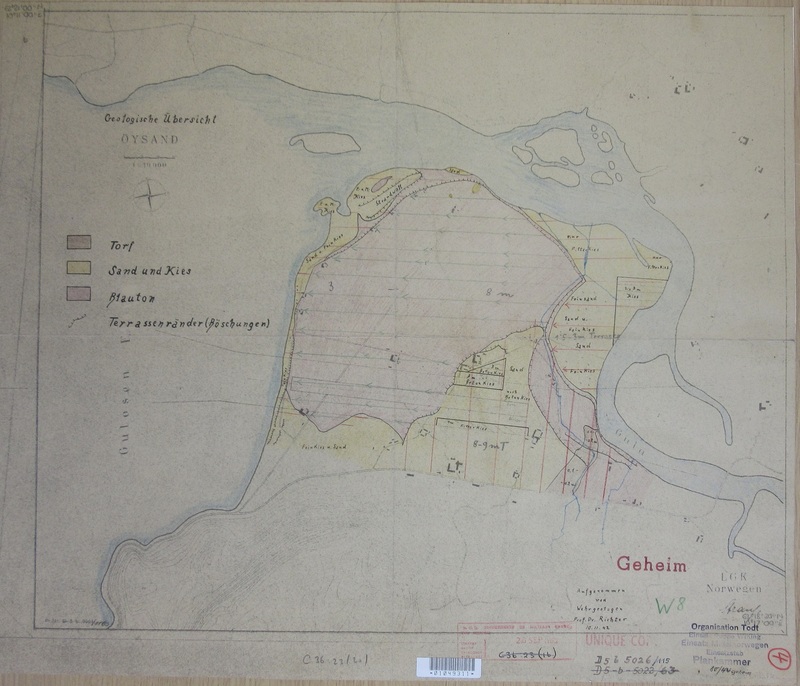 This rough geological sketch, dating from November 1942, of the area has been made in preparation for these to go ahead. Work started in 1943 but was soon abandoned, leaving little evidence on the ground now that such large and ambitious plans ever existed. The whole area was to be called Nordstern. 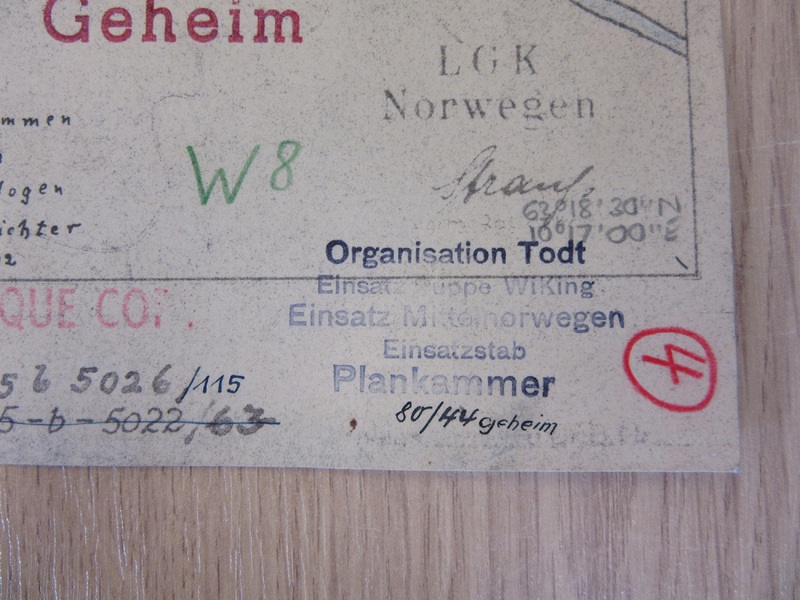 The map belonged to the Wiking Operational Group (Einsatzgruppe) of Organisation Todt, the engineering wing of the German Army. The Wiking group, as can be imagined, was responsible for Scandinavian work. This entry was posted in Uncategorized on 16 July 2018 by stuart.